Michael Scott, Fire and Ice 1, 2016–2018, oil on canvas. 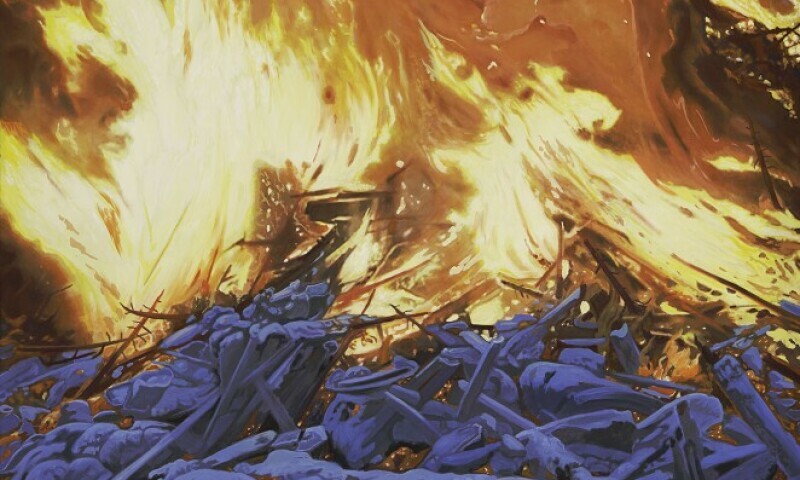 Featuring several selections from artist Michael Scott’s most recent series of paintings, this exhibition looks at the sublime visuals and transformative impact of fire on the land and the imagination. As with much of Scott’s work, the subject can be read in different ways: landscape as a timeless monument deserving of preservation, or an ever-changing place that is vulnerable and transient. In the process, On Fire explores the fine line between the physical and the phenomenal in the Western landscape.